In Costa Rica's Central Valley, Hacienda Sonora sits at the foot of the celebrated (and active) Poás Volcano. On this 100-hectare farm, 65 hectares are dedicated to shade coffee, 10 hectares to sugarcane and 25 hectares are wild forest reserve. 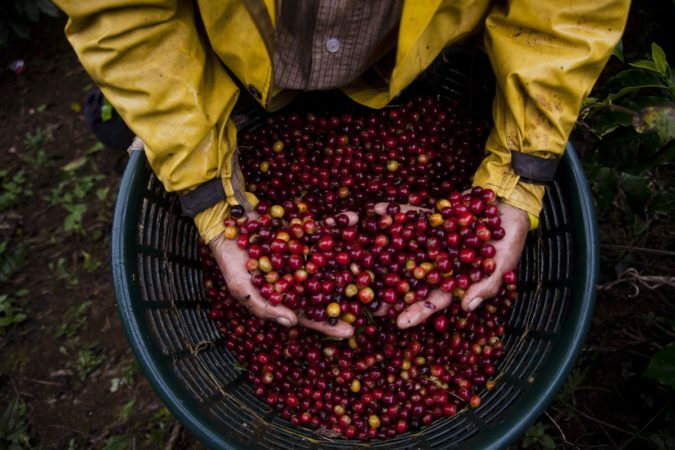 Sonora's Venecia Natural is 100% natural processed and comes from a Caturra varietal. It was developed through natural selection in the area of Venecia de San Carlos, Costa Rica. The plant looks like a dwarf Caturra and takes a very long time to ripen, which helps to create a very high Brix content. It's also known for its rich acidity. 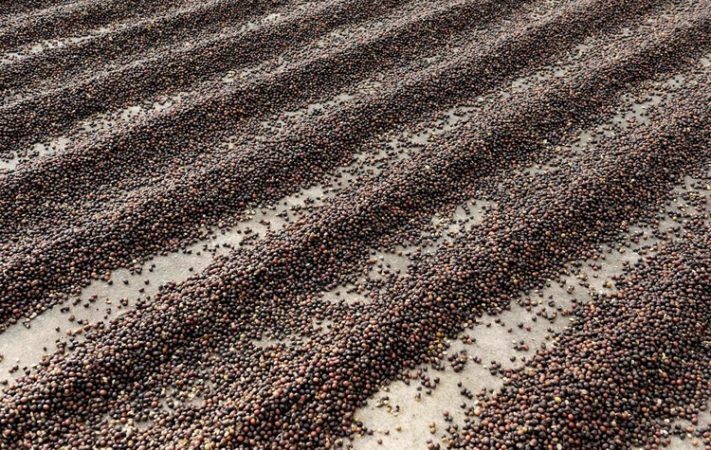 This coffee is sun-dried for 14 to 18 days and covered with black plastic every day around 3 p.m., when the warm afternoons begin to transition into cold nights. When it's between 18 and 20 percent moisture, the coffee is stored for 6 days and then brought back out. (This is one of Sonora's special tricks for enhancing cup quality and uniformity!) Right at the end of the drying process, the coffee is put in a drum dryer for about three hours, to create even better uniformity in the cup. The mass temperature never exceeds 37.5 C (99.5 F). A DAY AT OUR PATIOS from Diego Guardia on Vimeo.